What Are Ballet Conductors For? What is the function of the conductor in ballet performance? Never in my (limited) experience has this question been more provocatively posed than during the Mariinsky Ballet’s recent residency at BAM. This is because two of ballet’s most stirring symphonic scores – Tchaikovsky’s Swan Lake and Prokofiev’s Cinderella – were purveyed in the pit by a world-class orchestra under the leadership of a master conductor. The orchestra was the same great Mariinsky band that next performs Prokofiev and Shostakovich at Carnegie Hall. The conductor was Valery Gergiev, who now presides over the big Mariinsky ballets as he does when the Mariinsky gives the operas of Mussorgsky or the concertos of Rachmaninoff or the symphonies of Mahler. Gergiev’s Swan Lake is a distinguished musical achievement, but his Cinderella is something else: unique and unforgettable. His St. Petersburg orchestra has the most distinctive symphonic sonority to be heard today. Its dark textures and fullness of tone are what the Prokofiev ballets crave; a disturbing claustrophobic intensity – surely Stalinist in provenance – is composed into these scores (think of how Cinderella begins). And Gergiev secures, as well, an unflagging tidal impetus. The big waltz, the clock scene (progeny of Boris Godunov) are propelled with an elemental energy. Over at American Ballet Theatre, the Prokofiev ballets sound thinner and more generic. They aren’t as quick, the tempos are steadier, the colors and dynamics are everywhere more neutral. Above all, they defer to the dancers. Gergiev commandeers the stage as he would conducting opera. It bears mentioning, as well, that the Mariinsky supplied some 75 players in the BAM pit, whereas ABT fields a substantially smaller instrumental complement in a house (that of the Metropolitan Opera) twice as large. Another thing: there is no stopping for applause during the Gergiev Cinderella: the musical statement preserves its integrity. I am aware of the complaints that Gergiev’s tempos are inconsiderately quick, that he tramples the dancers’ prerogatives. And what about the music’s prerogatives? When Hans Knappertsbusch conducted the Ring at Bayreuth in the 1950s and ‘60s, his slow tempos made the singers audibly uncomfortable. But Knappertsbusch remained a popular and undeflectable fixture, because those tempos secured a magisterial template that fed the whole. I cannot believe that the Mariinsky dancers don’t benefit from the potency of a significant musical reading, whatever the rigors it imposes. In any event, hearing such a Cinderella emanating from a theater pit is a new experience – and not only in New York. In Russia too (I am reliably told), there is no precedent for concert conductors of international stature regularly leading ballet. 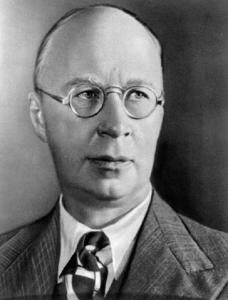 When Prokofiev endowed Cinderella with a score of the highest distinction, he surely intended a Gesamtkunstwerk, not another Paquita or Don Quixote. I am no informed judge of the dancing and choreography (by Alexei Ratmansky) of the Mariinsky Cinderella performances at BAM. But it seemed to me on January 20 that the dancers held their own with the music, and that the result was bigger than the sum of its parts. Based on the comments of dancers I’ve known, the ballet conductor’s job seems to be getting the tempos wrong for the dancers. The few conductors who knew the right tempi were beloved of the dancers! The further question would be, does the composer know the right tempi for the dancers, or is there a conflict between his music and the performing of the choreography? It’s all very nice to speak about the integrity of the music. We all strive to achieve that. Nevertheless, when conducting for dancers, one has to remember that forcing them through choreography with tempi that are too fast or too slow risks career-ending injury. It is NOT only about the music; it is also a matter of the dancers’ safety and livelihood. As a conductor whose career has included many a night in the ballet pit, I believe that tempo debates should take place in the studio, with the choreographer, not during a performance. At the ballet, it’s about the dancing. Anyone that goes to the ballet wanting to hear definitive musical interpretations at the wrong event. For a ballet conductor, it’s about delivering tempi that makes the dancers look good. It is not about some conductor’s ego. I’m a longtime fan of American Ballet Theatre’s. Your comments about their orchestra are too charitable. They have no sonority or palette of tone color to speak of. Their music is just a mesh of indistinguishable sounds covered by a wet blanket. The only thing the wet blanket doesn’t cover is the constant blaring and bleating wrong notes. Lincoln Center would not have been caught dead with this troupe anywhere near its vicinity if it weren’t for ABT. Their dancers are world class, and they deserve better.